Our family moved to Phoenix in 1955. I was nine years old, my sister Cathy was seven and our little brother George was a baby. We moved to Arizona for my health because I had severe Asthma. The doctors in those days thought that if Asthmatics moved to our Valley of the sun, that the climate would help alleviate the disease. I attended St Matthews Catholic Grade School, Carl Hayden High and Phoenix College. All located right here in good old Phoenix, Arizona. Since we had no family here in the Valley we adopted our neighbors Kenny and Mary Harris. They became our Arizona Grandparents. Grandpa Kenny was a huge influence in my life as a young boy. He was a musician. Kenny played fiddle and his friend Rudy Mac played the Banjo. I was their roadie went with them to music gigs all across the state of Arizona. Kenny had been a brand inspector for the State of Arizona in Cincinnati Ohio so when he moved here in the early 1950s he knew most of the cattle ranchers and buyers. 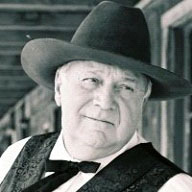 Kenny and Rudy had a tremendous following because of Kenny’s ranching connections that included, John Wayne, Robert Mitchum, Ward Bond and Ben Johnson. I saw all of them many times at their music gigs. Kenny also taught me to hunt and shoot. He gave me my first rifle which was a Remington Pump Action 22 rifle which I still own today. Kenny was an amazing shot and tracker. I began writing at the age of 48, after befriending a member of the Mexican Mafia while working at a local Mexican Restaurant. When he was killed I was so moved that I wrote his story, which I have still not published but it is coming. I truly enjoy showing off our great state and take readers on historical tours. There are so many great people who lived or touched the lives of all of us Arizonians. I will devout the rest of my life writing about these great people and their plight.